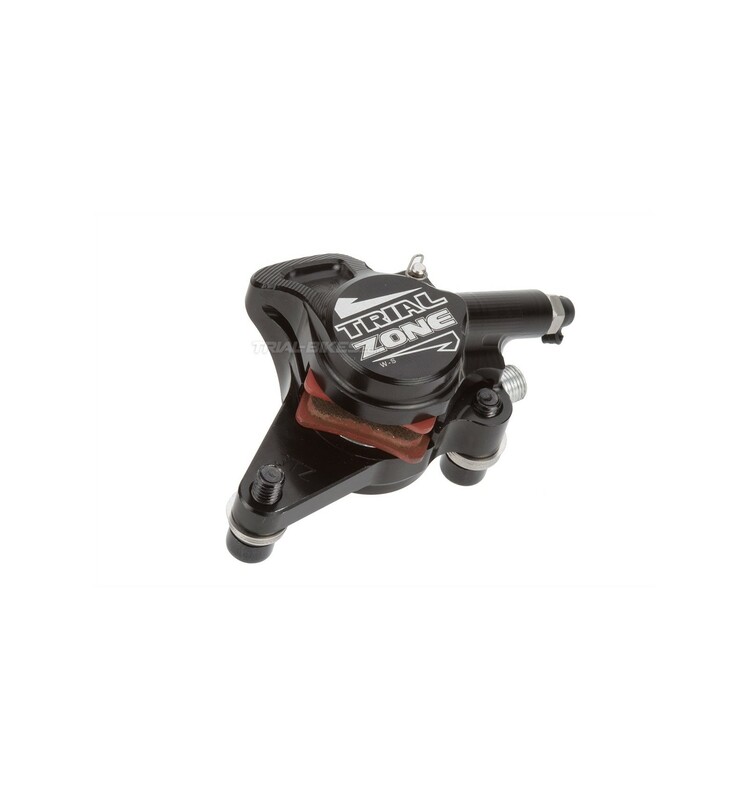 - Replacement Hope TrialZone disc brake caliper, manufactures in the UK under high quality standards. 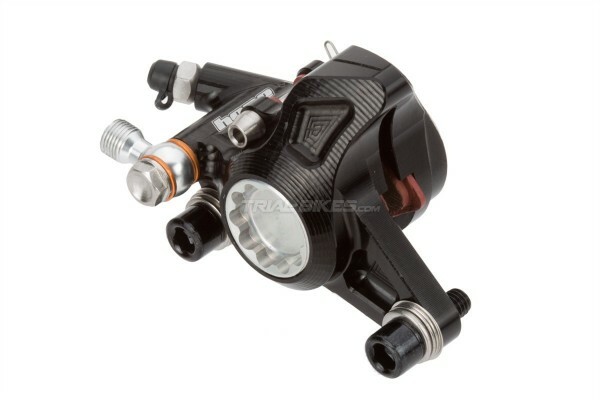 - Specially designed for bike trials, this is one of the most popular disc brake calipers, thanks to its low weight and unmatchable locking power. 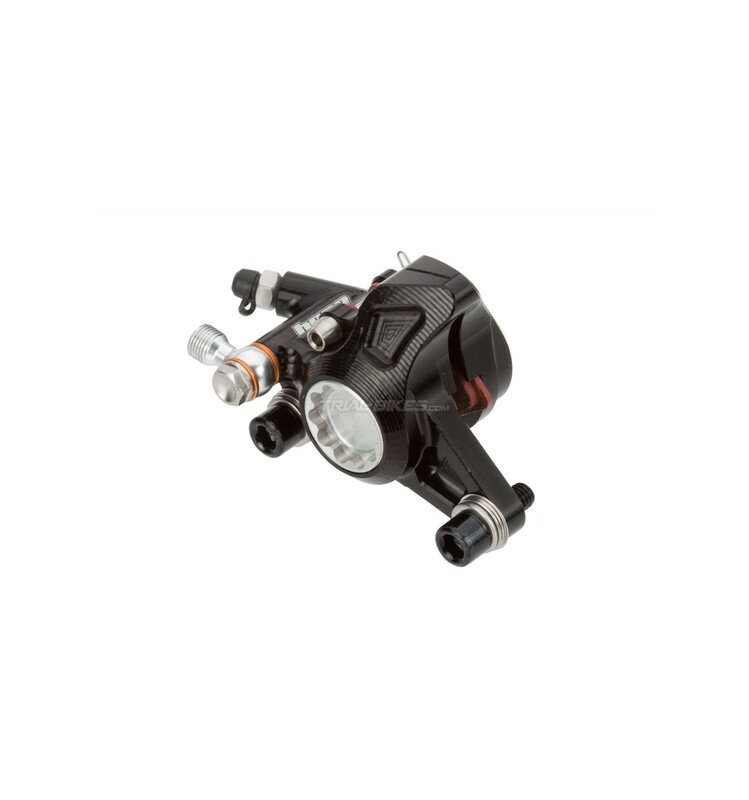 - The caliper body has been CNC machined from a single piece of high quality 2014-T6 aerospace aluminium alloy. - Features two 25mm diameter pistons, which ensure high braking power. - Compatible with all Hope disc brakes. - Features IS disc brake mounts (the calipers bolts sideways onto the fork/frame brake mounts). 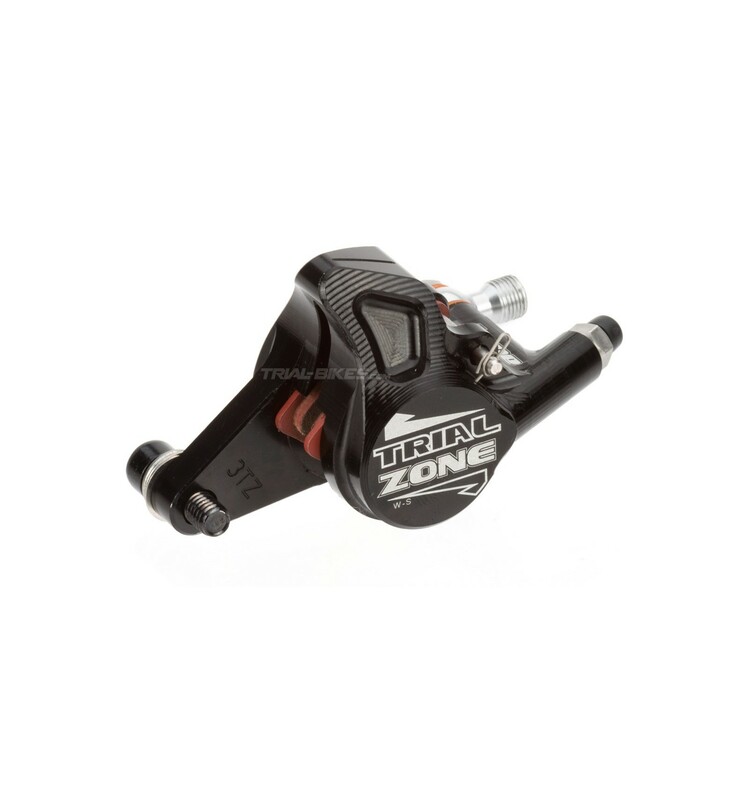 - This caliper is designed to fit an international standard frame with 160mm rotor (rear brake), or an international standard fork with 180mm rotor (front brake). - Anodized black finish, with silver laser etched Hope logo. · 2x Hope Mono Trial Red brake pads. · 2x M6x18mm steel fitting bolts. · 1x M6 Straight Connector. - This caliper must be installed in a frame/fork with IS disc brake mounts (the calipers bolts sideways onto the fork/frame brake mounts). - Designed to fit an international standard frame with 160mm rotor (rear brake), or an international standard fork with 180mm rotor (front brake). - Only DOT 4 or DOT 5.1 brake fluid must be used when installing the caliper and bleeding the brake. - 131.58g, + bolts and fitting shims at 16.44g. We have no question. What are you waiting for? Send us yours!